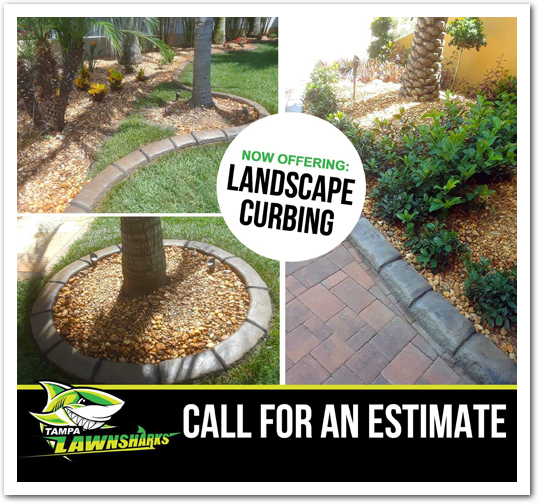 Tampa Lawn Sharks will maintain all aspects of your exterior maintenance and provide you with a reporting system that will keep you up to date on the condition of your property. We will monitor the health of your landscape, as well as, offer you ideas on how to enhance your overall landscape for the long term. Service: You deserve a company that is responsive to you! Our maintenance organizations allow us to do that. Your properties team are directly responsible for scheduling, production, and quality control. As a result, they will react quickly and efficiently to your request. Creativity: The difference between ordinary and extraordinary is “that little extra”. Our extensive knowledge of plant material, color, and texture combined with our knowledge of plant performance guarantees traffic stopping color displays. Teamwork: We are a team of professionals who demand excellence and provide quality beyond expectations. Tampa Lawn Sharks will work with you to meet your goals. Our team and maintenance managers are committed to the idea that Together Everyone Achieves More. Results: A consistent image for your property – an image that reflects quality and professionalism. We will strive to meet your objectives as well as those of your property managers, asset managers, and owners. The result will be an exterior environment that is pleasing to tenants and will maximize the investment of clients.